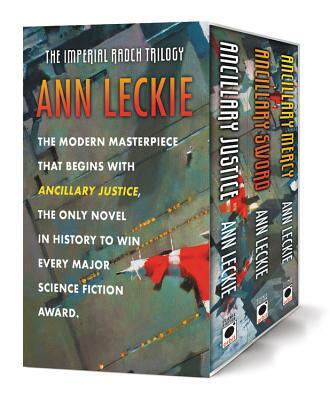 This special boxed set includes the New York Times bestselling author Ann Leckie's complete Hugo, Nebula, Arthur C. Clarke, and Locus Award-winning Ancillary space opera trilogy. Breq is both more than she seems and less than she was. Years ago, she was the Justice of Toren-- a colossal starship with an artificial intelligence linking thousands of corpse soldiers in the service of the Radch, the empire that conquered the galaxy. An act of treachery has ripped it all away, leaving her with only one fragile human body. And only one purpose-- to revenge herself on Anaander Mianaai, many-bodied, near-immortal Lord of the Radch.